Mr. Media is recorded live before a studio audience of Esquire readers who want to hear the joke about the elephants falling off the cliff again and again… in the NEW new media capital of the world… St. Petersburg, Florida! My wife is a huge fan of the NBC series “Parenthood,” but I don’t usually do interviews based on her interests; she’s a tough one to impress. My teen daughter, on the other hand, still might raise a smile if the old man has a guest that she’s interested in. So talking to beautiful Alexandra Daddario was a must. Alex played Annabeth Chase in the movie Percy Jackson & The Olympians: The Lightning Thief. Her job was shepherding Jackson from adolescence to young Godhood. And while the movie fell short of some expectations, Daddario was actually quite good and it obviously opened more than a few doors. 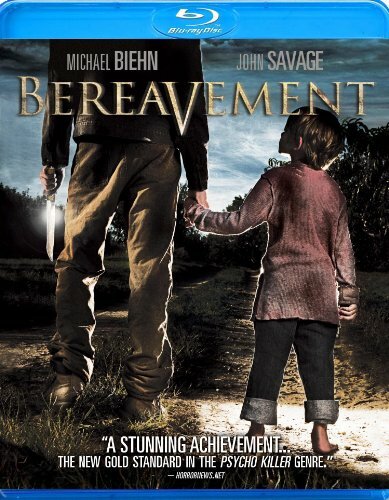 Order ‘Bereavement’ starring Alexandra Daddario, available from Amazon.com by clicking the DVD cover above! Don’t take my word for it: her recent movies credits include everything from The Squid and the Whale through the Farrelly Brothers comedy Hall Pass. Next up is a starring role in The Texas Chainsaw Massacre 3D. But of immediate interest is her role as Rachel on “Parenthood,” where she has been cast as the new assistant at The Luncheonette, the recording studio operated by Peter Krause and Dax Shepherd’s characters. My wife thinks she might be about to break up Adam’s marriage – I’ll ask about that. And yes, Percy fans – including my daughter — I’ll definitely inquire about the Percy Jackson & The Olympians sequel, The Sea of Monsters, which IMDB says is in pre-production for a 2013 release. Or is it?